This design/build project includes a 9,000 SF state-of-the-art day care facility and a Class A 20,000 SF office building in Oro Valley, Arizona. 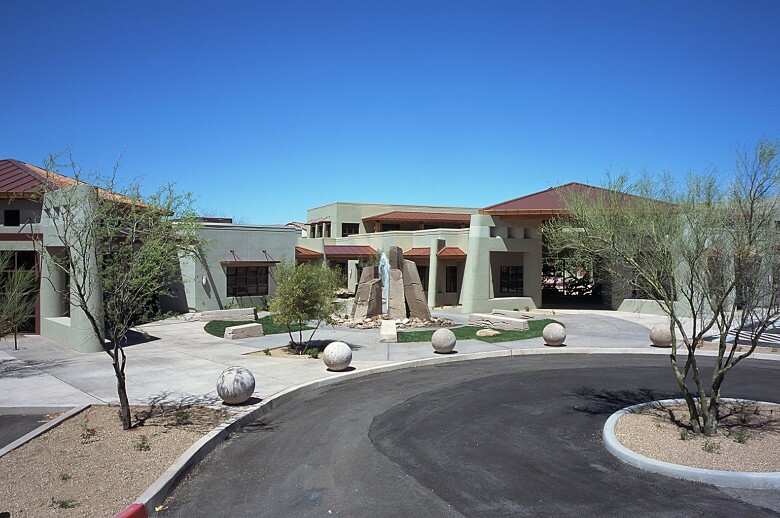 The buildings are sited to capture views of nearby Pusch Ridge and open out to a central plaza that focuses upon an interactive public art fountain. Each building, in turn, focuses inward on their own inner courtyards. The standing seam copper roofs provide a welcome contrast to the surrounding mission tile roofs that dominate the valley. Among other features, the day care facility is outfitted throughout with internet connections and cameras so that parents can log-on to the day care website and “visit” their children from wherever they are any time throughout the day.